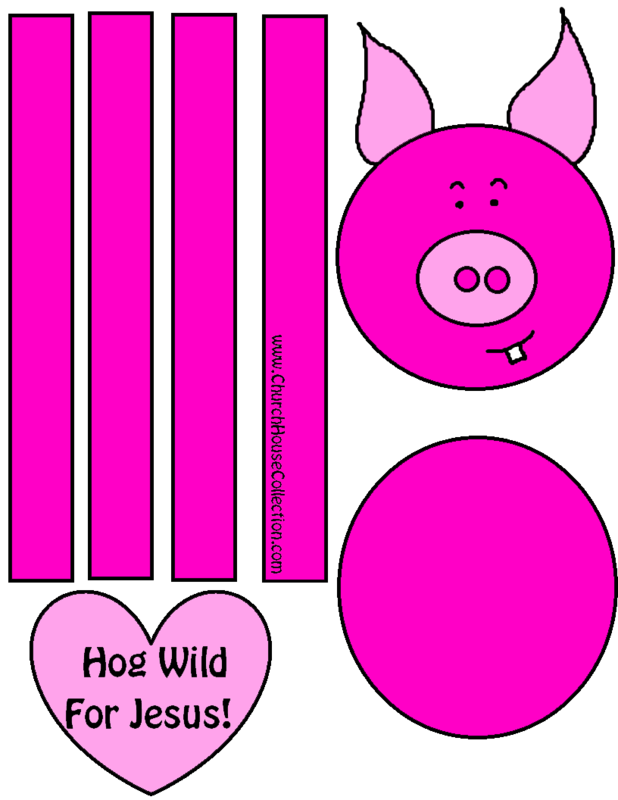 This is a printable Hog Wild For Jesus pig Valentine's Day paper craft that kids can cutout during Sunday school or Children's church. 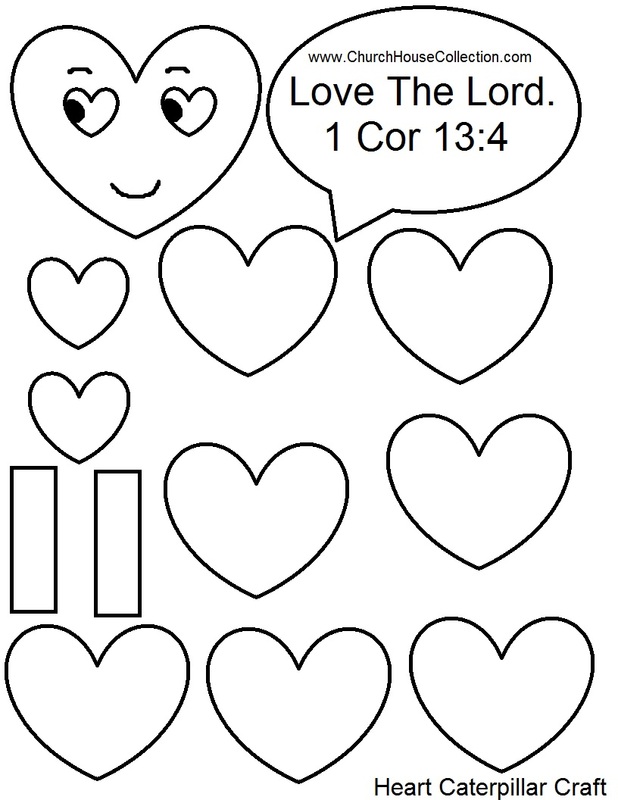 Comes in 4 different printable templates down below. 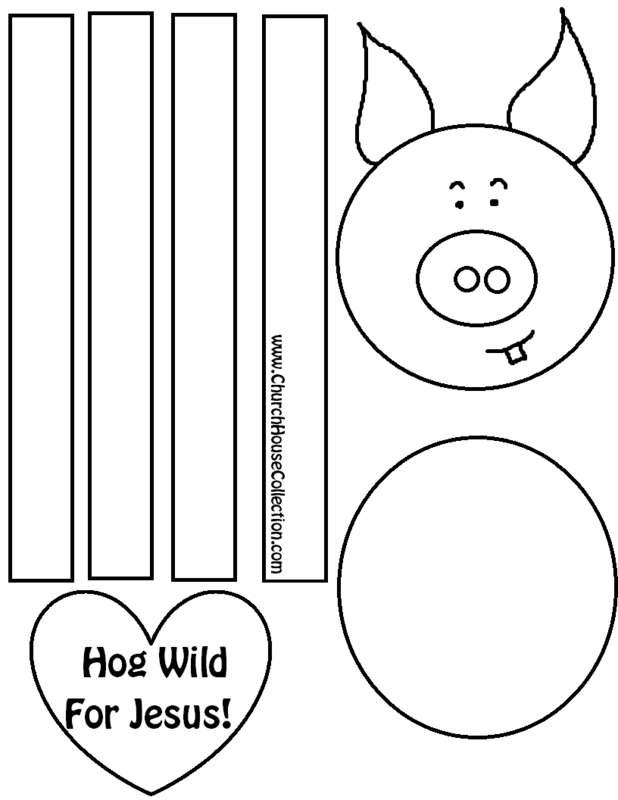 Two can be used for for Sunday school class and the other two have no words so you can use it for something else. 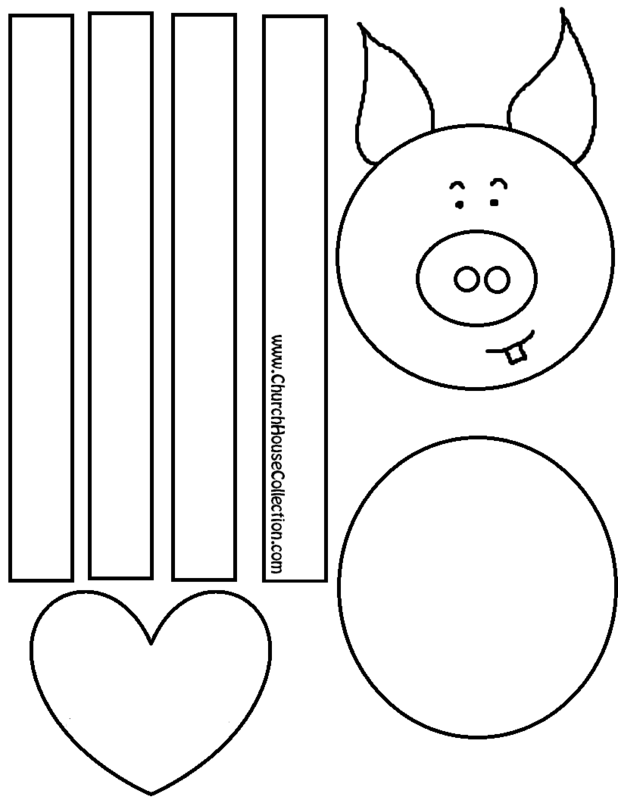 Just print the template out on card stock and have the child color the picture and then cut the images out. 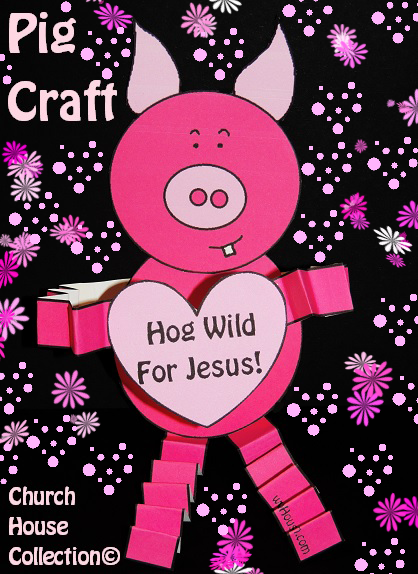 To make the arms just crinkle them back and forth to make them look like a french fry and make sure you tape the arms to the "Hog Wild For Jesus" heart. Tape everything together and your done! 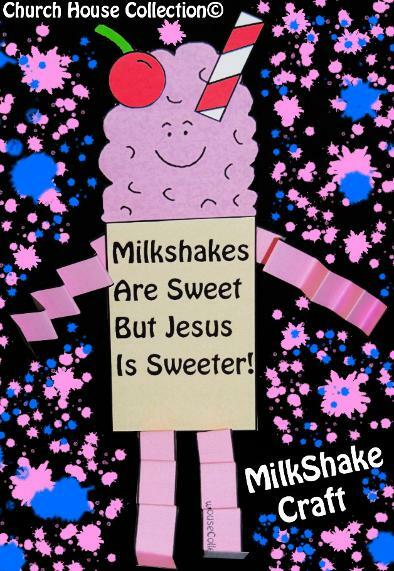 This is a printable cutout Valentine's Day milkshake paper craft that the kids can make. 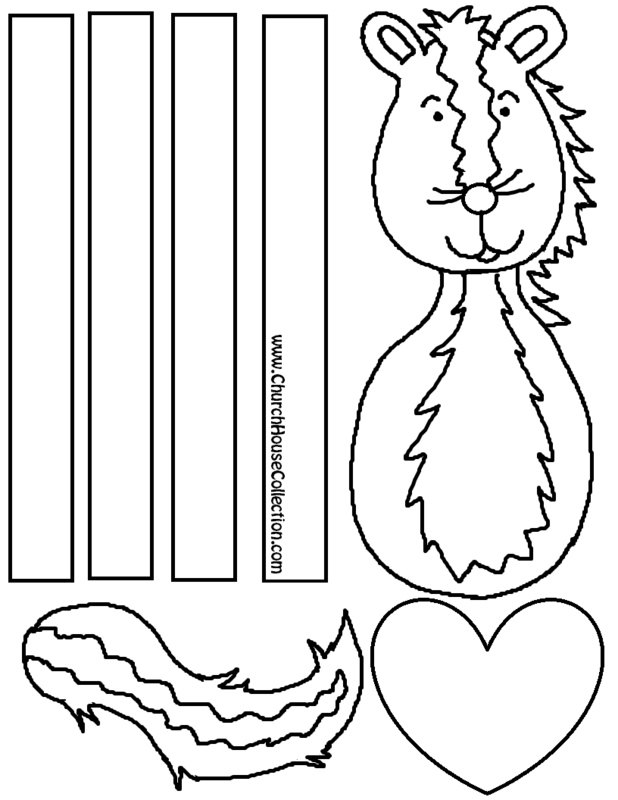 Use card stock to print and then have the kids color the picture and cut it out. Crinkle the arms and legs and then tape everything together. Comes with words and without words. 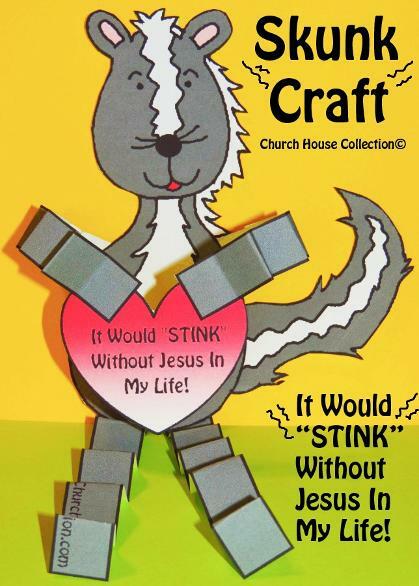 Skunk Valentine's Day Sunday School Craft "It Would STINK Without Jesus In My Life!" 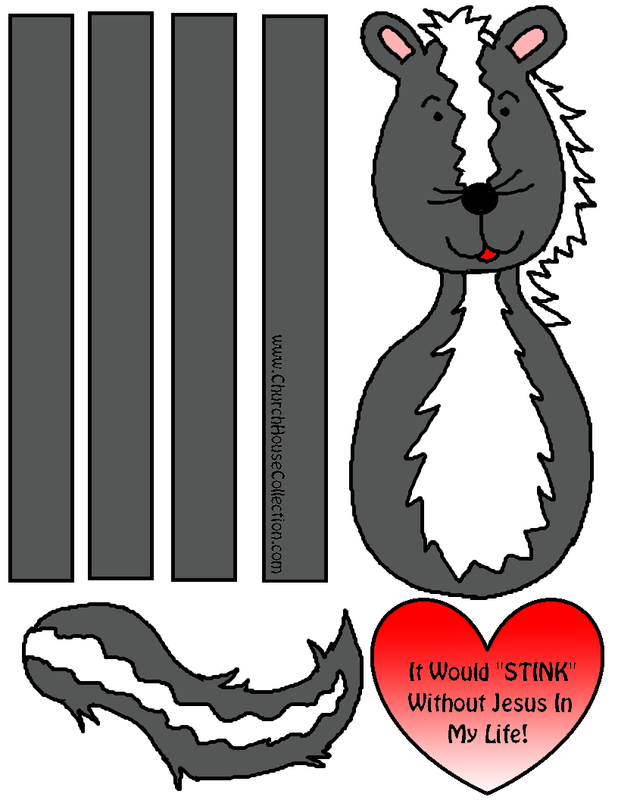 This is a printable skunk cutout craft for kids to make for Valentine's Day! 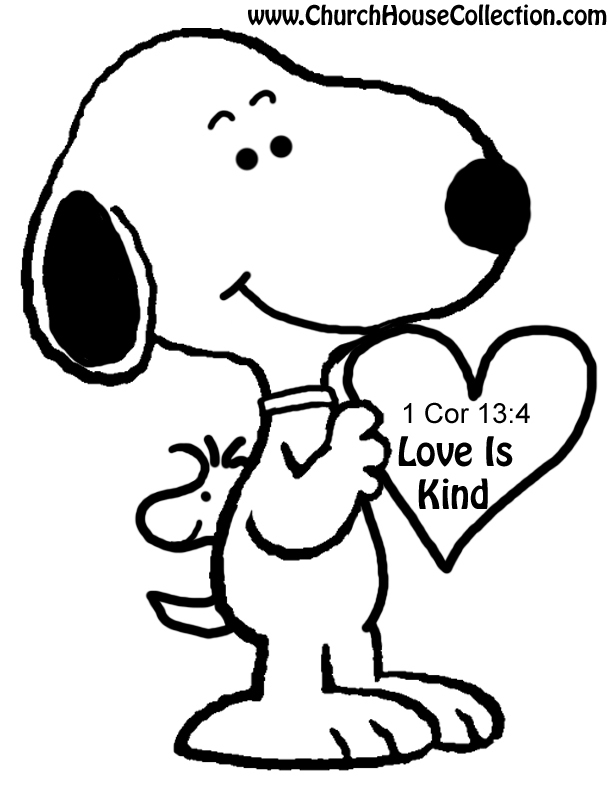 This comes with and without words so it can be used for Church or for school. 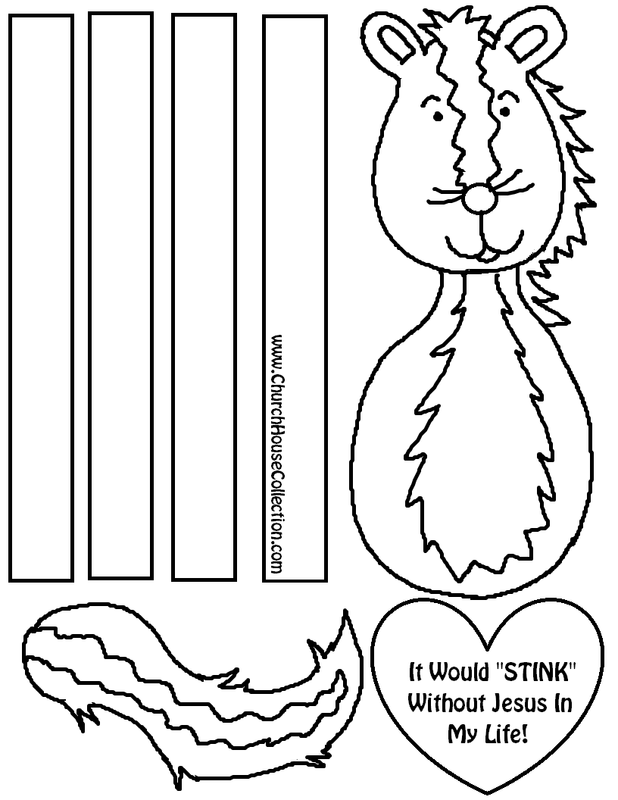 Just print the template on card stock and have the kids color it. Cut all the pieces out and then tape it together. Crinkle the arms and legs together and tape everything together. Make sure you tape the arms to the heart. 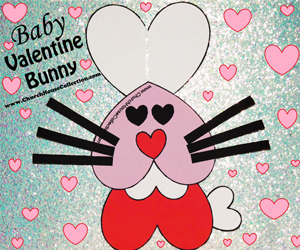 This is a cute little baby Valentine bunny rabbit for the kids to cut out and piece together. 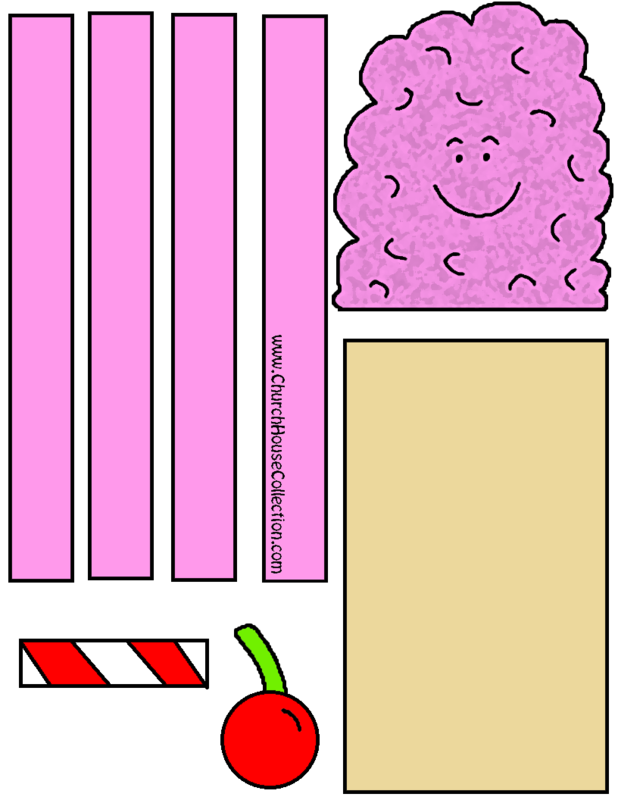 Just print on cardstock, color and tape together. It's that easy! 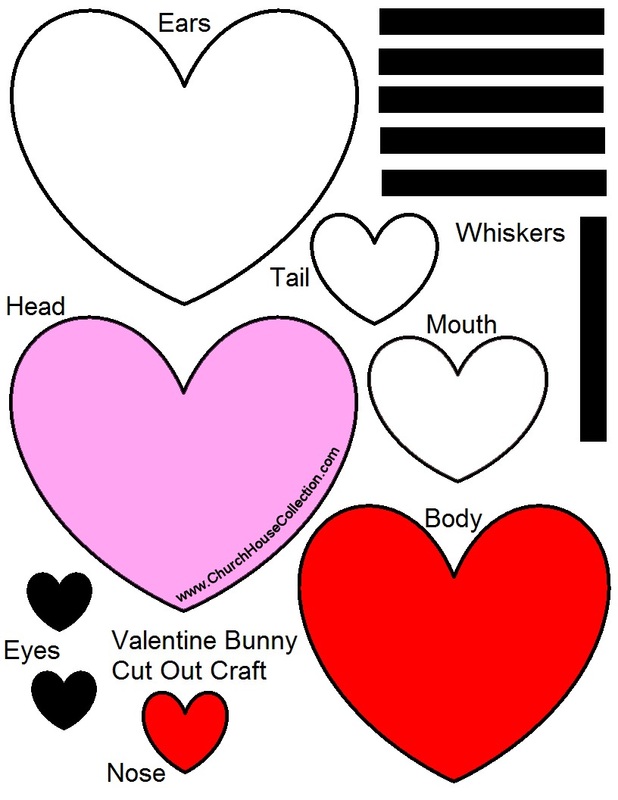 You could even add some glitter to the ears or whiskers just to add some sparkle! 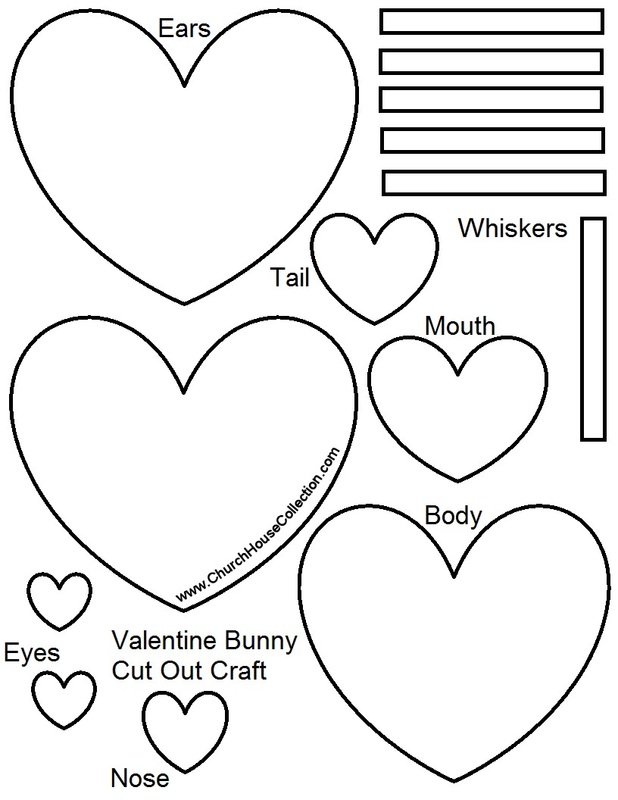 This is a cute little heart caterpillar cutout paper craft that the kids can just put together in class. 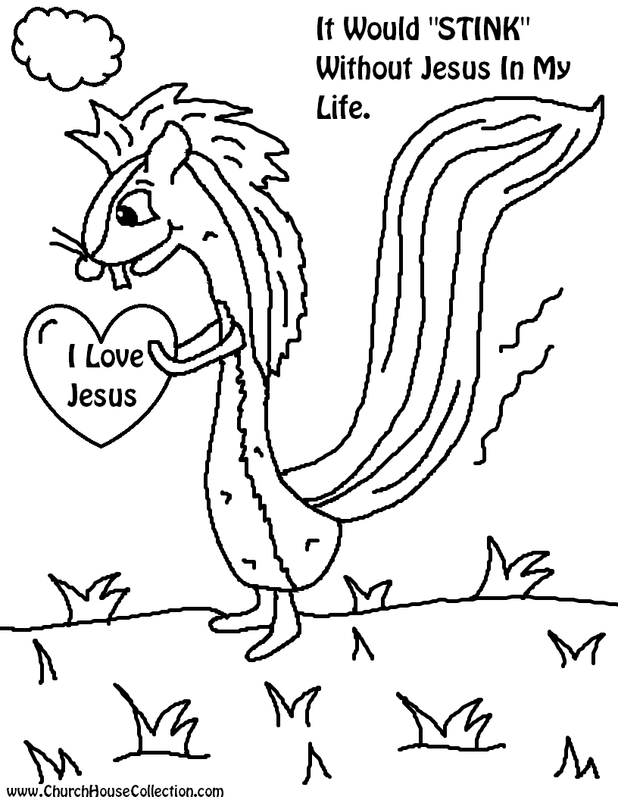 Just print these on cardstock and have them color it and cut it out. 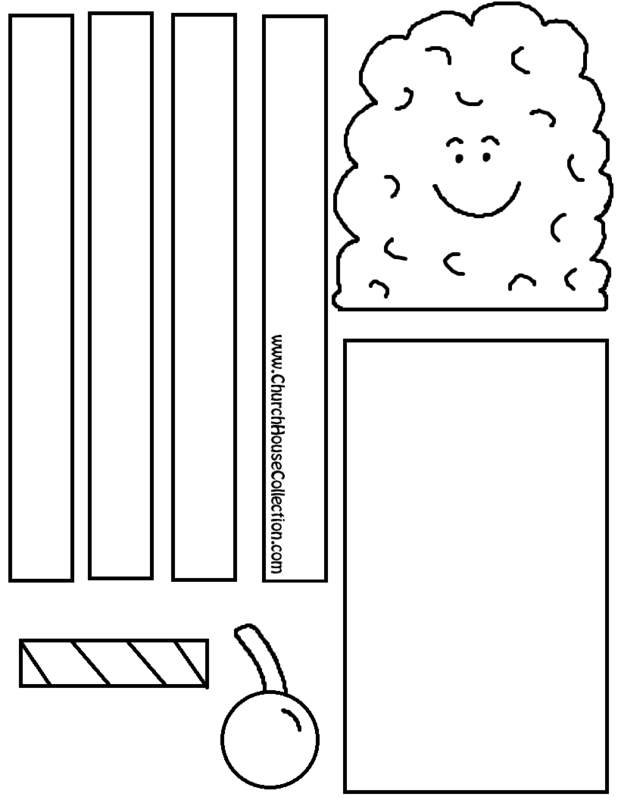 Just use some tape or glue to piece the caterpillar together. 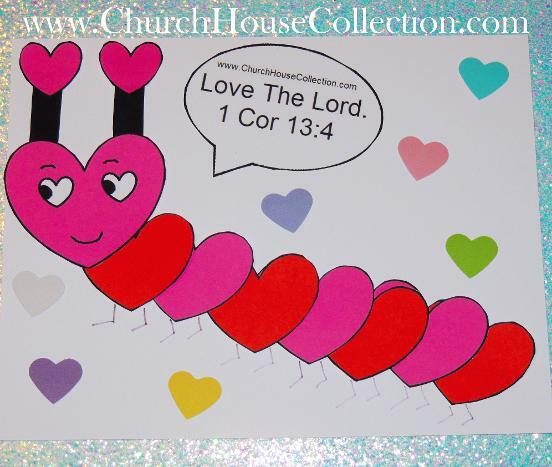 Glue the caterpillar to some construction paper and add some little cutout hearts. Let them draw on the legs. This is really easy to make. Just print the Snoopy Valentine picture out on card stock and cut it out. Tape it to a white lunch bag. 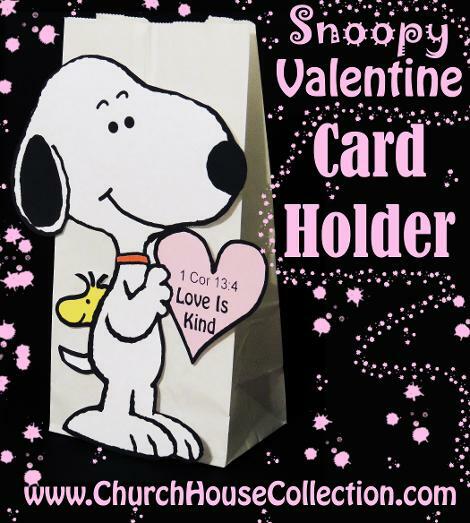 This is an easy craft to do to create a Valentine card holder. 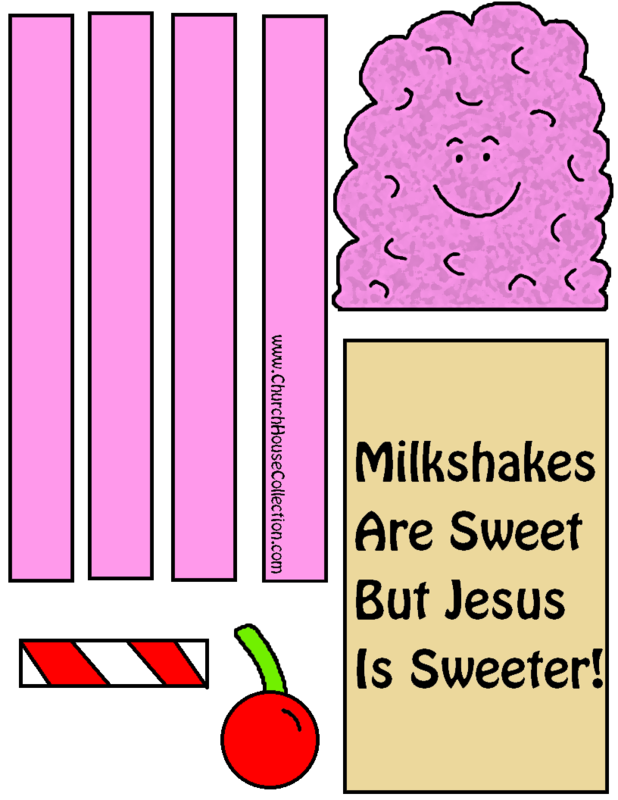 100% free Children's Ministry resources. 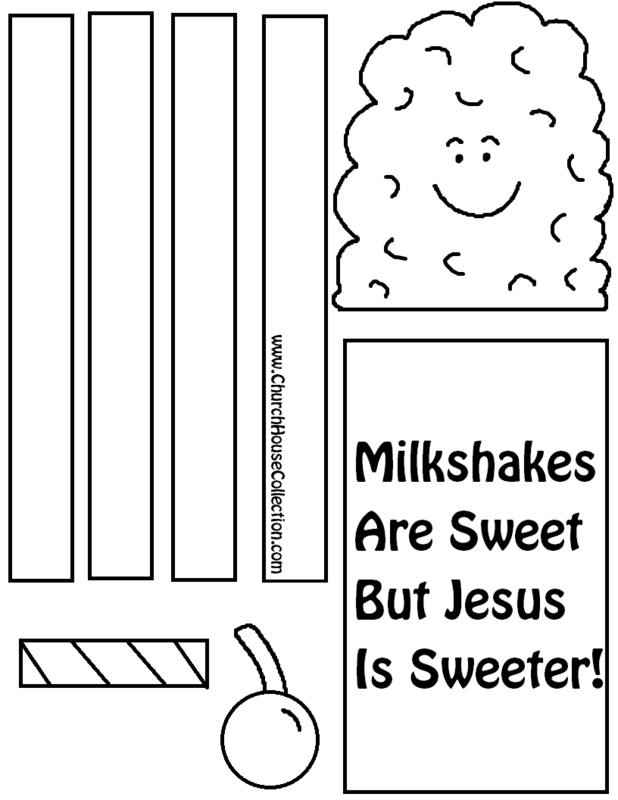 Free Sunday school lesson plans, coloring pages, printable, snack ideas and more.